After three weeks of off-and-on work with frequent interruptions by my day job, I have routed the main controller PCB. 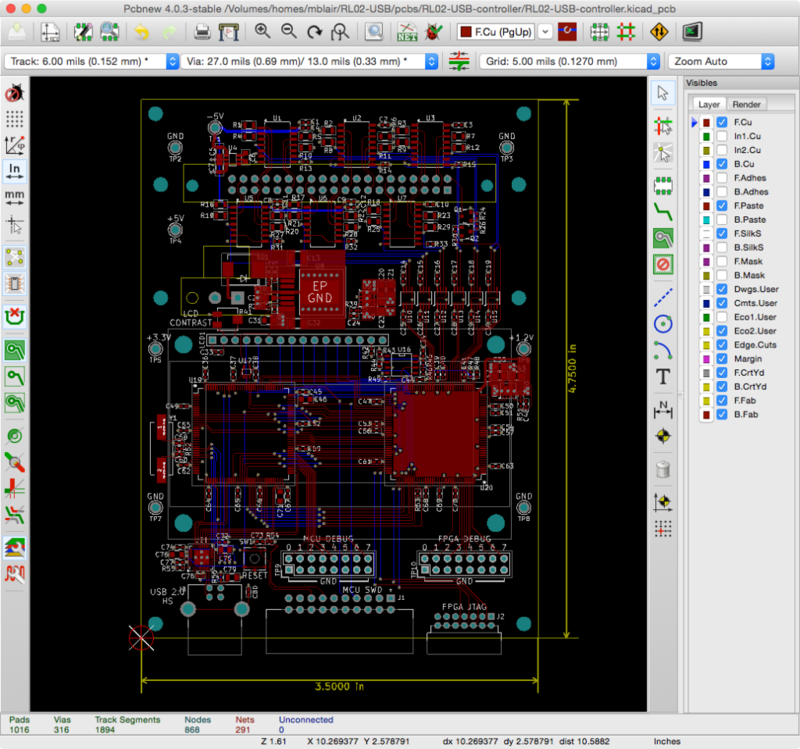 Proofread the PCB design, and send it off to be fabricated. Design another small PCB to terminate the end of the drive bus, and make it. Design the disk formatter, to be implemented in the FPGA. This will by far be the biggest task in this project. Write the firmware to control the whole thing, and make it turn into a USB mass storage device. Design a 3D-printable case for the controller. Realistically, I’ll probably get distracted by other shiny objects by the end of October. For example, I just bought a SOL-20, which will certainly demand some attention! I also have a couple of TRS-80 Color Computer projects in the works. But even if this project ends up on the shelf for a while, the work in progress is all available on GitLab.